So how far can a Chevy Volt go one one charge? I plan to find out. Equipment used: one 2012 Chevy Volt with 52,000 EV miles and a whole lot of spare time! Let's discuss what one charge means. 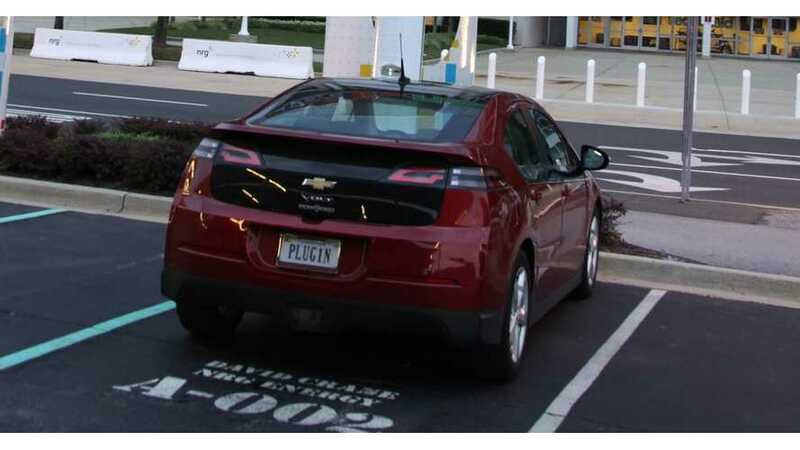 There are three ways to charge a Chevy Volt: plugging in via J1772 connector, using Mountain Mode, or reclaiming electricity via regenerative braking. I've seen ranges as high as 141 miles using regenerative braking through large elevation changes. Theoretically, hundreds of miles can be achieved on one charge via regenerative braking. I will be using none of these methods to charge the battery after my initial charge. To achieve a very long range, one must almost never stop, in essence a test track should be used, or a road as much like a test track as possible. I do not have a test track to use, so I had to locate a public road very much like a test track. A long country road would work, but last time I checked no such road exists near metro Washington DC. The best choice in my case would be a large traffic circle. In addition, there needs to be nearby access to a level 2 charger. I succeeded in finding the perfect location, FedEx Field, home of the Washington Redskins. 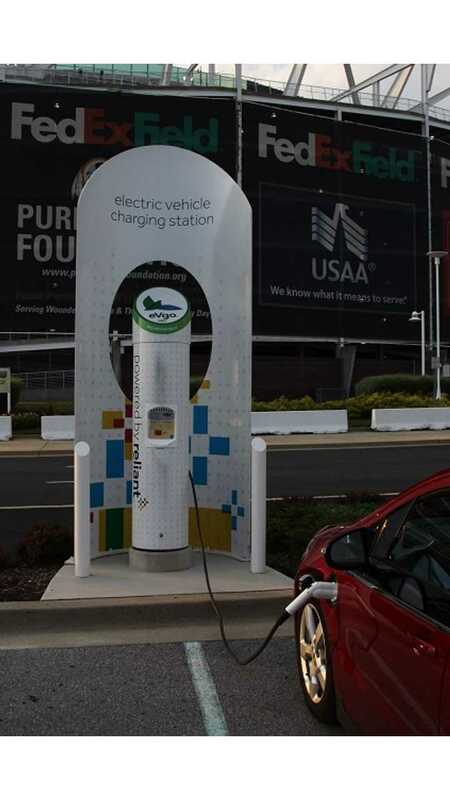 Surrounding FedEx Field is a giant traffic circle, and right next to the road are 12 free solar powered level 2 chargers compliments of NRG eVgo. The key factors affecting range are speed (lower the better), ambient temperature, tire PSI, driving style, elevation change, and climate control. I will be driving around 20 MPH. Optimal temperature for efficiency is around the mid 80's Fahrenheit, which is warm, but not hot enough to engage thermal management of the battery. I will be using no climate control, of course. Recommended tire pressure by GM is 38 PSI. Really too low, many owners go with 42-45 PSI. A few hyper milers (me included) go with 50 PSI. For this test, I went way beyond that and set my tires to 60 PSI. Do not try this at home! Another factor in my favor is that my tires are pretty worn as they have 52,000 miles on them. Newer tires with more tread create more friction with the road, reducing EV range and MPG. I picked Memorial Day for my run. It was a nice warm day, upper 80s Fahrenheit and I could spare a good chunk of my day for this "exercise". Early afternoon I set out for FedEx Field. I used around 60% of battery to get to FedEx Field from Northern Virginia. About 2 1/4 hours later I had a full charge. However, I waited. I let the battery rest for 30 minutes, then turned on the Volt while it was still plugged in. This allows the Volt to charge an additional buffer. I will not go into details here, subject for another article. About 10 minutes later, the battery was charged to the maximum allowed. This raised the actual state of charge from 87% to 89%. The Volt only allows 65% of the battery to be used, this trick bought me another 2%. 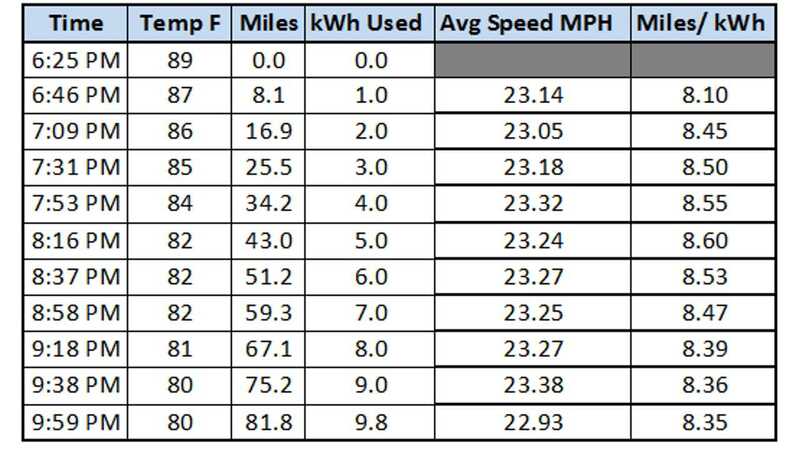 A key metric for measuring efficiency of how one drives is miles per kWh. 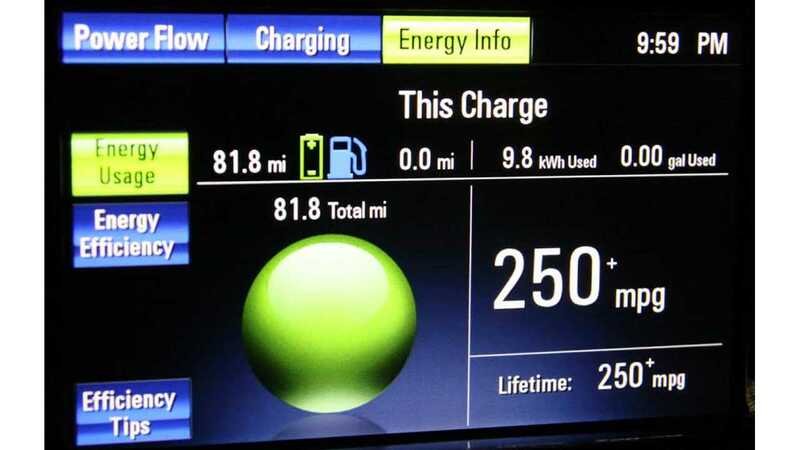 My 2012 Volt has an EPA rated range of 35 miles on 10.0 kWh, or 3.5 miles / kWh. Really efficient driving is 5 miles / kWh. This drive will go way beyond that. At 6:25pm I started my run. I turned off my daytime running lights and made sure Bluetooth was off on my phone. I did not want any precious electrons wasted on a Bluetooth connection. I had both front windows cracked about 1.5 inches due to the heat. There are a few small little hills on the ring road around FedEx Field. When going down these hills, I use neutral to coast as much as possible. My speed varied from 19 MPH up to as high as 25 MPH. Average speed for the entire run was 23 MPH. I really could not go slower since it was an active road. By the time I finished and my range had dropped to 0 miles, I had driven 81.8 miles using 9.8 kWh for a measurement of 8.35 miles / kWh. The drive required a lot of concentration keeping the speed at the perfect spot and continually shifting from drive to neutral back to drive. It's amazing how quickly the time actually passed. I did have to stop once. I managed to catch the interest of a police officer who wanted to know what I was doing. I explained I was testing the electrical range on my Volt and he let me on my way, or on my circle! Unfortunately, I should have started a little earlier. I had to turn on my lights dropping my efficiency from 8.5 kWh. A 2014 Volt with around 11.0 kWh available has a decent chance of getting to 90 EV miles on one charge. 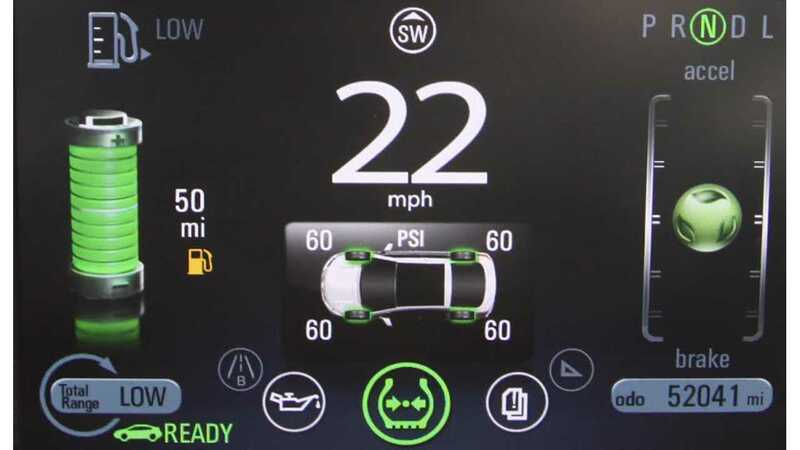 Anyone with a 2014 Volt want to try?? ?